Rent Museum of Craft and Design | Corporate Events | Wedding Locations, Event Spaces and Party Venues. 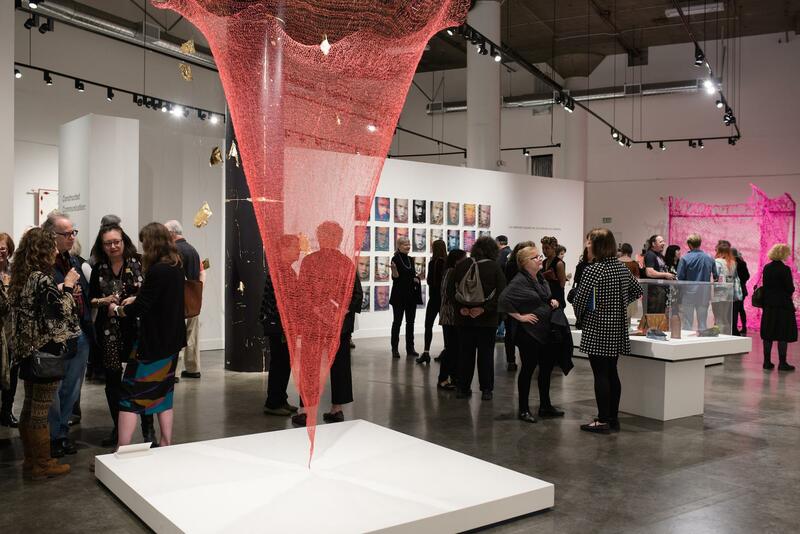 Since opening to the public in 2004, the Museum of Craft and Design has delivered innovative exhibitions and programs to thousands of visitors from San Francisco, the Bay Area, and beyond. Learn more about how we started and where we are heading next. The Museum of Craft and Design is the perfect place to hold small parties, receptions and meetings. All fees help support the Museum’s mission and go toward funding exhibitions and public programs. We offer facility rental on a case-by-case basis. Rental fee for the MakeArt Lab is $250/hour with a two hour minimum. The Lab is suitable for gatherings of up to 30 people. Larger groups can rent the entire Museum for $3500 for five hours (start to finish of event). Museum capacity is 225 people. Donor Circle Museum members receive a 25% discount on rental fees. Some food and beverage restrictions apply to all events. The Museum can provide an approved list of vendors including caterers, valet, beverage service and more. Although we cannot accommodate children’s birthday parties, children are always welcome to attend our MakeArt Workshops which often include gallery tours as inspiration for the art they create.